Gardaí say they believe this afternoon's shooting in Drogheda, Co Louth is related to a local gang feud. It happened at around 2:45pm this afternoon. 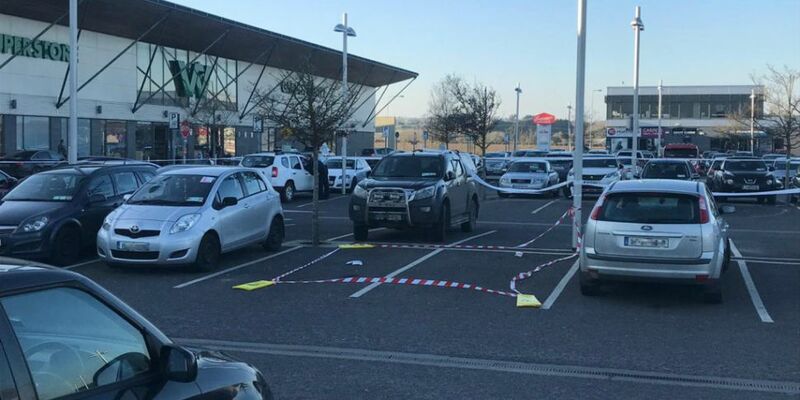 According to gardaí, a man in his 30s left a premises at the M1 Retail Park. He got into a white Vauxhall Astra with two other men. A black Volkswagen Passat with the partial registration 132 D then pulled up close to the Astra. A number of shots were fired into the Astra, and the man in his 30s was hit at least once. The two other men in the car were not injured. One of the other men drove the injured man to Our Lady of Lourdes Hospital in the town. The victim is being treated for what are described as serious injuries. Both the scene of the shooting and the vehicle have been sealed off by gardaí while an investigation is carried out. Gardaí are at the scene of a shooting in Drogheda Co. Louth. Gardaí have also found a burnt out car in their search for the getaway vehicle used in the shooting. The car was found in Termonfeckin this evening and has been taken away for a forensic examination. Gardaí believe the attack is part of an ongoing local gang feud. They are asking anyone who was in the M1 Retail Park this afternoon between 1pm and 3pm to contact them. They are also looking for any information on the whereabouts of the Black Passat used in the shooting. Anyone with information about the shooting can contact Drogheda Garda Station on 041 9874200.